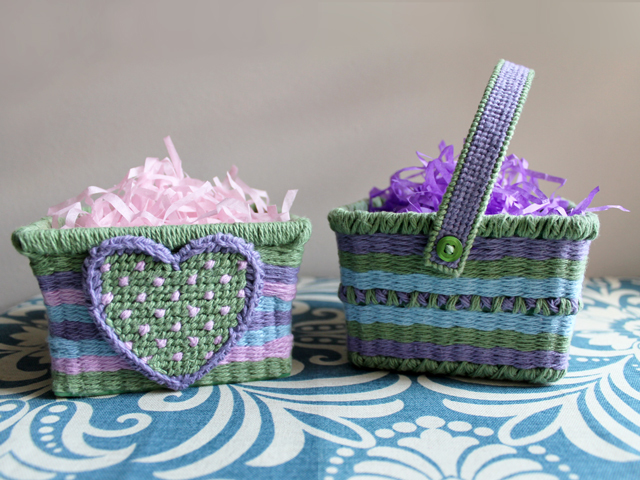 Here's what I made with them -- By weaving some cotton yarn through them, they were transformed into Springtime/Easter baskets! They weren't particularly quick to make but they were quite fun and didn't require much concentration, so I could work on them in the evenings while we watched Netflix (Season 2 of The OA, to be precise). Perhaps you have some of these baskets hanging around, or will be bringing some home once berry season kicks in, and would like to try this craft yourself. Simply saying that the touring exhibition of Yayoi Kusama's work "Infinity Mirrors", which made a three-month long stop at the AGO in Toronto last spring, was a big success, would be quite an understatement. It was, in fact, a massive, enormous, humongous (I could go on) success, unlike anything the gallery had ever experienced before. Tickets for Members of the gallery went up for sale nearly three months before the show was to begin. Even that far in advance, people had to sit online for hours, waiting for their number to come up, so they could secure their precious two tickets for the show. 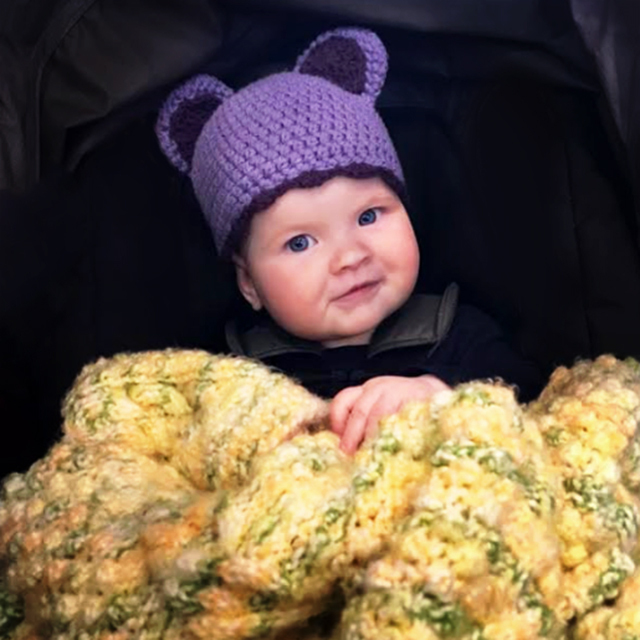 In one case, as reported in The Toronto Star, a person missed her chance when, after 18 hours of waiting, her cue to purchase finally came up at 3am -- by then she'd understandably fallen asleep, so she missed out and then had to go back to the end of the line. That's how it was for Members, so nabbing a golden ticket was an extreme challenge for the regular folks who wanted to see the show. It has been reported that the gallery was asked by the police to stop selling tickets at their booth after they deemed it too difficult to control the crowds. So, ticket sales were relegated to online only. Towards the end of the exhibition's stay, the gallery began opening around the clock, in order to accommodate the demand. Suffice it to say that demand was extreme. Toronto was not alone in showing its love for Kusama's work -- a quick search revealed that "Infinity Mirrors" was a record breaker at each of its five North American stops. I can only imagine how happy this 90 year old artist must be right how. For her to be alive and able to witness the overwhelming appreciation for her work is not something to be taken for granted, considering that, at one point in her career she became so discouraged and overwhelmed by depression that she became suicidal. This state of mind was a result of the extreme sexism and racism that used to be the norm in the art-world. She has revealed that, during the 60s and 70s, even female dealers would not show interest in and feature the work of female artists. In addition, Kusama experienced at least three situations where male contemporaries, including Andy Warhol, obviously copied her work and went on to achieve great success with their pieces, while she remained largely ignored. One example of this was the soft sculptures created by Claes Oldenburg after he'd seen Kusama was doing them. There was little doubt that he copied her idea, considering that his wife apologized to Kusama because of it. I find it interesting, and somewhat satisfying, that the AGO purchased Oldenburg's "Floor Hamburger" (as seen in this photo -- it is currently in storage) for $2,000 in 1967 and that they've now purchased a piece by Yayoi Kusama for over a million times more. Boom. 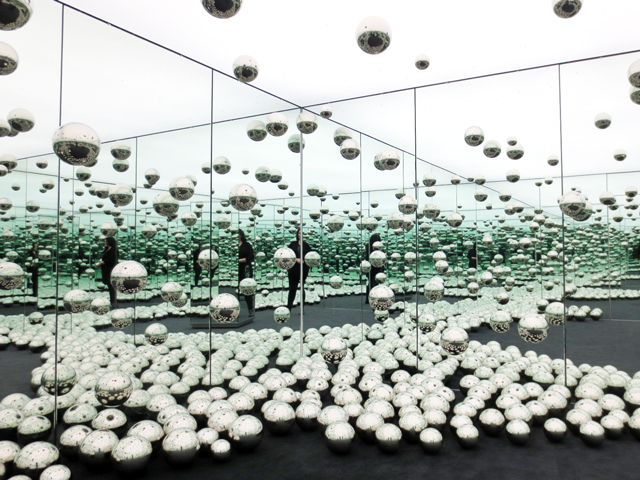 This brings me to the primary and exciting reason for today's post -- The AGO has acquired one of Yayoi Kusama's Infinity Mirrored Rooms and it will be on permanent display at the gallery! 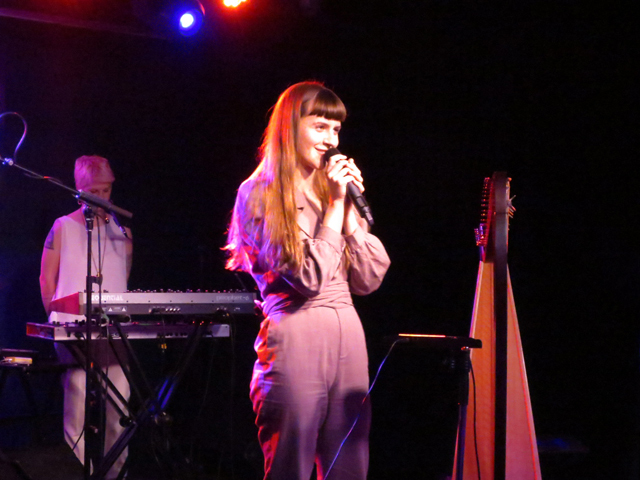 Seeing Emilie Kahn perform at The Drake Underground (at The Drake Hotel, Queen Street West, Toronto) on Friday night was the result of a random lucky pick, and I choose the word lucky with intent, because the show was excellent and I feel fortunate to have seen it. Being a lover of new music, I've found that a good way to get ideas for who to listen to, or go and see, is to regularly check the list of shows that the independent record store and ticket seller "Rotate This" keeps on their website (found here). 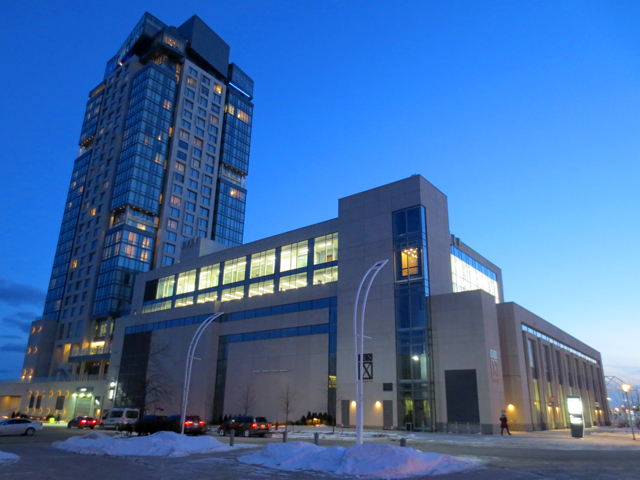 They offer tickets for many of the independent acts that come to Toronto, at venues including the smaller ones: The Mod Club, The Velvet Underground and The Drake. While some of the performers coming to the city are familiar, there are many names that are new to me, so, every couple of weeks, I go through the list and pop names of the unknown-to-me performers into Spotify search, to have a listen. I bought the tickets at Rotate during the first week of February, and between then and showtime on March 22, I listened to "Outro" quite a few times. It got to the point that a couple of ear-worms from the album became stuck in my head, particularly parts from the songs "Island" and "Three". Emilie Kahn is a young songwriter, singer, and harpist from Montreal, Canada. Yes, she plays the harp. Not to be narrow-minded, but had I noted that before listening to her music, I'm not sure I would have gone ahead and checked it out, not because I don't like the harp, but because I don't really know it. I'd associate it with classical, new-age or folk music more than I would with the indie-rock genre that I tend to prefer. Now, after having heard Emilie perform, I'm a fan of the multi-stringed instrument, especially as she presented it, mixed with keyboards, bass guitar and drums. When listening to the recordings, I found myself wondering how the pieces would be performed live. There is such a rich and layered sound to the music that I totally expected some premixed tracks to come into it. Not so. Emilie achieved her complex multi-layered sound 100% live, with the use of effects pedals and looped recordings, which she dexterously controlled with her bare feet. She also had a microphone placed into the wooden column of her harp, which she sang into, through a hole, giving her voice an ethereal echoing sound. This she recorded and looped, and then sang over using the regular mic. This technique was used in the song "Aquarium", which she performed as a solo. I can honestly say that that piece of music was the richest, most spine-tingling thing I've ever heard a musician do by themselves. I imagine that it helped that The Drake has a great sound system, which was being operated by a skilled sound-person. It was simply mesmerizing.